It was my sophomore year on the varsity football team. To make the first tackle of the season was something everyone had wanted and I had the opportunity – so I made the most of it. I lowered my head and went in with full force. Ah yes, I remember it like it was…actually, I don’t really remember it. You see, this moment in time is actually the catalyst which helped me choose chiropractic as a career. After the hit, I had immediate, sharp pain in my neck and my head was pounding! After suffering through the weekend on medication with no change in my symptoms, I decided to give chiropractic a try. I will never forget that first adjustment! After continuing with Dr. Johnson’s treatment plan, I was able to play the very next week! I knew right then and there that I was interested in helping others…naturally! I began my pre-chiropractic education at Oklahoma Christian University where I studied the basic sciences such as inorganic chemistry, organic chemistry, physics, biology, physiology and anatomy. After completing study there, I was accepted at Parker College of Chiropractic in Dallas, Texas. During my 9 trimesters at Parker, courses included biochemistry, a major emphasis on anatomy and human physiology, X-ray, diagnosis, chiropractic adjusting techniques and patient care in the Parker College Public Clinic. After graduating in 2000, I chose Arlington as the place to work as an associate doctor until purchasing Crowne Chiropractic Clinic in 2006. At Crowne Chiropractic, our mission is simple. We strive to serve our community by adjusting and educating as many patients as possible. Our goal is to meet or exceed your expectations, and we will always listen to your desires. Simply put, we want to add years to life and life to years. We will help guide our patients into the wellness revolution. It is no secret, as a nation we are unhealthy and overweight. It is time that we focus on prevention instead of just treatment of illness. To paraphrase Benjamin Franklin: to continue doing the same things over and over and to expect different results is the definition of insanity. Maybe, just maybe, it’s time for us to change. I married Tracy, a girl I’ve chased since age 4. Not many people can say that! My mom tells me when I was little, I would put cologne on when I knew Tracy was going to be around because “I loved her sparkling eyes”. Tracy and I have two boys, Bryson and Cason. As a family, we enjoy travel. 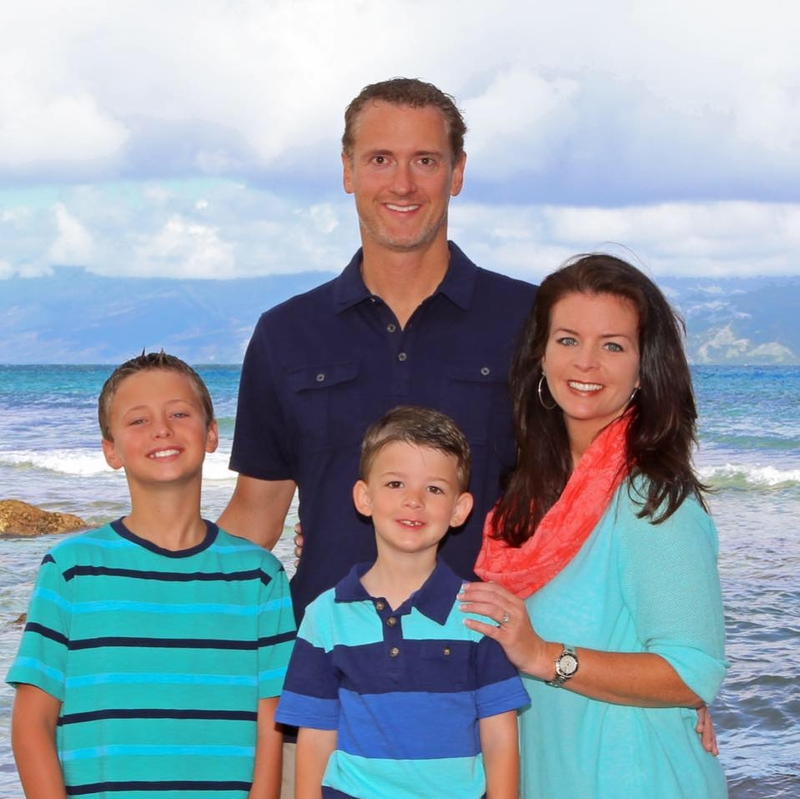 We love the mountains but Maui is our favorite place – we were married there! I have been a chiropractic patient since that “fateful” day in high school. I continue to get my spine and nervous system checked on a regular basis. By staying well adjusted, it allows my nervous system to function at it’s optimal level. I feel that it is important for my health, my family, and my patients that I keep myself in excellent working order. I am a big believer in nutrition. If you are not feeding your body what it needs, you will never be truly healthy. Give Our Arlington Office a Call! Thank you for visiting our site. I hope it can be a source of hope and healing. I look forward to meeting you in person and learning how we may be of service to you. If you have any questions, please call us or send us an email.